It’s been called Britain’s greatest contribution to gastronomy. I speak, of course, of the sandwich, invented in the 18th century when the 4th Earl of Sandwich, John Montagu, commanded his valet to bring him roast beef pinioned between two slabs of bread so he could eat while gambling. Whether completely true or not, you have to concede sandwiches are one of the best things since … well … sliced bread. And there’s no better time to pay homage them to them than the present, because August is National Sandwich Month. More popular than ever, nearly every food culture in the world has its own take on sandwiches, from Umbria’s porchetta to Vietnam’s bánh mì to Uruguay’s mouth-stretching steak and egg chivito. My favorites—no surprise—feature grilled or smoked components. Here are Raichlen’s top grilled sandwiches. What are yours? Share them with us on Facebook, Twitter, or Instagram. Simply defined, Uruguay’s chivito is a steak sandwich—the way the Super Bowl, simply defined, is a football game. 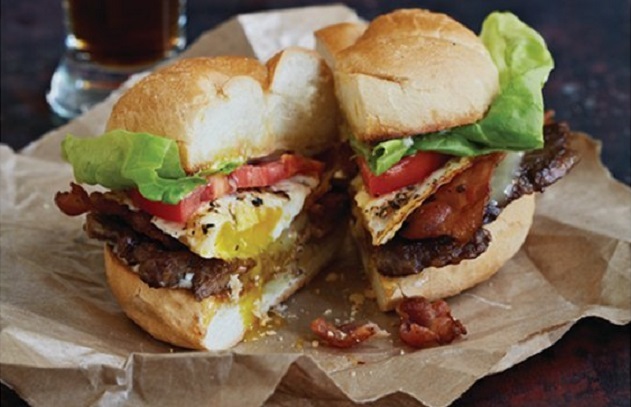 You start with thin-sliced steak and pile on bacon, eggs, cheese, lettuce, tomato, and mayonnaise. It makes a Philly cheesesteak look downright small. 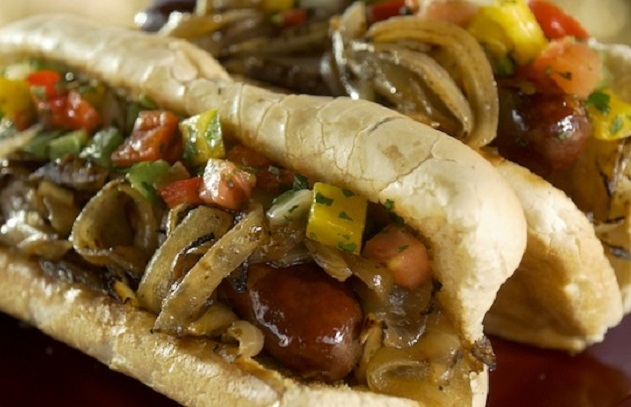 Choripan is as popular throughout South America as hot dogs are in the United States. It starts with spicy chorizo sausage on bread and may be served with salsa, Pebre, chimmichurri, mayonnaise, or all of the above. This recipe is a smoky American twist on a South American favorite. 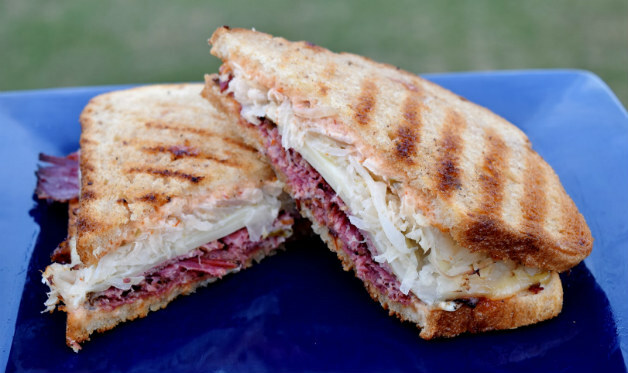 If you think a Reuben is good made with corned beef, wait until you try it with the garlicky, smoky, home-cured, and home-smoked pastrami called for by this recipe. When it comes to making a world-class grilled cheese sandwich, quality ingredients matter as much as the technique. The beauty of this comfort food favorite is that it can be easily customized to suit your taste. For an extra crusty texture, cook the sandwich on a cast iron skillet or a plancha with a grill press. If you like grilled vegetables and goat cheese, you’ll love this sandwich, which explodes with the evocative flavors of Provence, France. A grill basket makes grilling the veggies a snap.